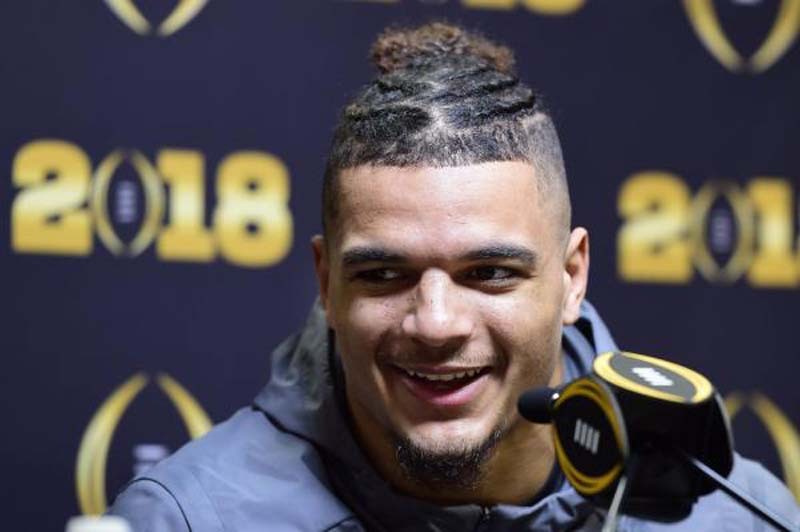 The Miami Dolphins signed two draft picks, including first-round selection Minkah Fitzpatrick, on Friday. Fitzpatrick, a defensive back out of Alabama, signed a four-year contract worth $16.4 million, the Miami Herald reported, citing a source. A few hours later, several media sources reported that the Dolphins also signed veteran cornerback Bobby McCain to a four-year, $27 million contract. The Dolphins finally were able to get their draft picks into the fold after picking up about $17 million in salary cap space, the result of former defensive tackle Ndamukong Suh's contract coming off the team's financial ledger on Friday. Miami also signed cornerback Cornell Armstrong of Southern Mississippi, a sixth-round pick, according to a Twitter post by his agent, Brett Tessler, and was expected to come to terms with other players Friday. Fitzpatrick, selected No. 11 overall in the 2018 NFL Draft, won the Bednarik and Nagurski awards this season as the nation's premier defender. A two-time first-team All-American, Fitzpatrick filled every role in the secondary for the Crimson Tide in the last three years, including cornerback, strong safety, nickel back and dime linebacker. He set the school record for career interception returns for touchdowns with four. Fitzpatrick drew rave reviews from NFLDraftScout.com leading up to the draft, which touted him as perhaps "the cleanest NFL prospect" in college football. "Fitzpatrick possesses the raw athleticism, instincts and toughness to continue playing multiple roles at the next level. The question is not whether Fitzpatrick can play cornerback or safety in the NFL but which position the team lucky enough to select him needs help at most," read the website's assessment. Armstrong had 146 tackles, including 9.5 tackles for loss, and made five interceptions in his four seasons at Southern Miss. McCain's deal reportedly contains $13 million in guarantees, making him one of the highest-paid slot corners in football. A fifth-round pick out of Memphis in 2015, McCain is coming off his third season with Miami and made two interceptions while playing all 16 games.